MACOM Announces PAM-4 Technology Chipset for Single Lambda 100G, 200G and 400G Data Center Optical Connectivity | MACOM Technology Solutions Holdings, Inc.
LOWELL, Mass--(BUSINESS WIRE)-- MACOM Technology Solutions Inc. ("MACOM"), today announced a complete PAM-4 technology chipset for 100G data rates over a single wavelength enabling single fiber and four-lane parallel fiber connectivity for 100G, 200G and 400G Ethernet applications. This chipset features a new transimpedance amplifier (TIA), transmit and receive clock and data recovery (CDR) devices and linear Electro-Absorption Modulated Laser (EML) driver module. Increased traffic within and between Cloud Data Centers is driving the need for low cost 100G, and for high-speed and low power 200G and 400G interconnects. To increase bandwidth density per port, data centers OEMs are adopting faster data rates starting in 2018. These interconnects will be supported with smaller QSFP, QSFP-DD and OSFP form factor modules, which require suppliers to deliver lower power electronic components. MACOM's chipset addresses these power and bandwidth density needs by supporting single wavelength interconnects with EML lasers or silicon photonics, within the power envelope requirements of these smaller form factor modules. "The major data center operators are currently deploying 100G optics in volume to build their intra data center switching fabrics," said Ian Redpath, Practice Leader, Components, Transport and Routing at Ovum. "Today, the data center intra-connect market is driven by the advances in Ethernet switch ASICs. As 400G switches enter the market, optical transceivers will need to keep pace and rapidly transition to 400G. 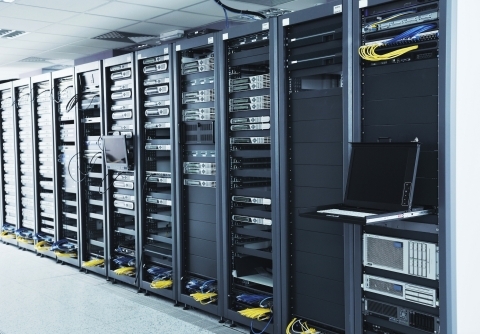 Ovum projects the 100G equivalent data center intra-connect market to grow at an explosive 56% CAGR by 2021 driving the need for low cost 100G over single lambda solutions. At the same time the industry will start adoption of higher speed 400G links also utilizing single lambda technology. We expect MACOM's PAM-4, TIA, CDR and laser driver chipset will help drive these deployments." "In 2016, MACOM's silicon solutions enabled over one million 100G modules for data center and enterprise applications, positioning us as the market leader in this space," said Marek Tlalka, Director of Product Marketing, High-Performance Analog, at MACOM. "Our new chipset delivers the requisite analog and photonic components required by OEMs to accelerate their transition to single lambda 100G and beyond." MACOM will demonstrate 53 GBaud PAM-4 technology at OFC 2017, Booth #1736, March 21st-23rd in Los Angeles, CA. The demonstration of 100G transmission over a single lambda includes MACOM's PAM-4 PHY technology along with MACOM's 53 GBaud linear driver and TIA capable of driving up to two kilometers of single mode fiber using an EML laser.